MOSCOW, the Russian Federation, (BulgarianMilitary.com) – In an interview with the Russian newspapers Sputnik and the Kommersant, Kalashnikov interim General Director Vladimir Dmitriev revealed that mass production of the AK-308 assault rifle with NATO-standard ammunition was about to start in 2019, learned BulgarianMilitary.com. 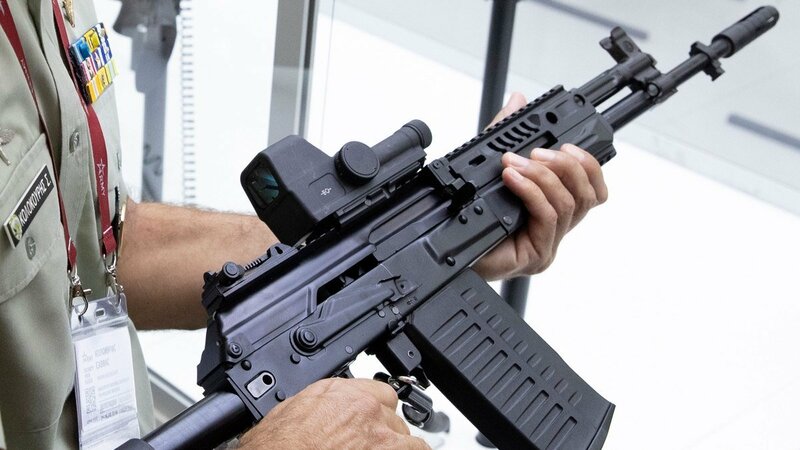 According to his statement, the AK-308 has already completed the factory tests and now is about to undergo the preliminary ones, if they are successful, the manufacturer will be able to begin the mass production of the combat weapon. The development of the AK-308 assault rifle is based on the AK-103 chambered for 7.62×51 mm rounds, which are NATO member countries’ standard rifle and machine-gun ammunition. The Kalashnikov Concern states that components and elements of the automatic rifle AK-12 are also involved. Kalashnikov’s AK-308 assault rifle is reported to be certainly interesting as a combat weapon for its extremely rare caliber. The weapon’s manufacturer also expects it to have demand domestically as a civilian weapon, because this is one of the main calibres for hunting rifles. According to previous information, the Kalashnikov’s assault rifles AK-12 and AK-15 has entered service with the Russian military, ordered by the Russian Ministry of Defence as part of the Ratnik “future soldier” gear. The first delivery of them, to the Russia’s armed forces, was in 2018 in the framework of the state armament order for 2019.